Do you need help figuring out the notes on your banjo or balalaika? Notes Finder Lite to the rescue! This free app can also help you learn how to read sheet music or improve your music-reading skills in just a few minutes a day! 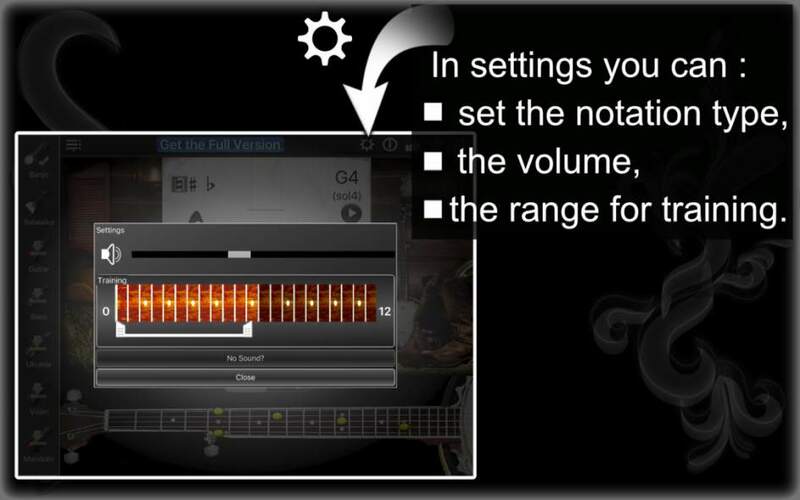 The Settings of this app allow you to adjust the volume and training range for balalaika and banjo. 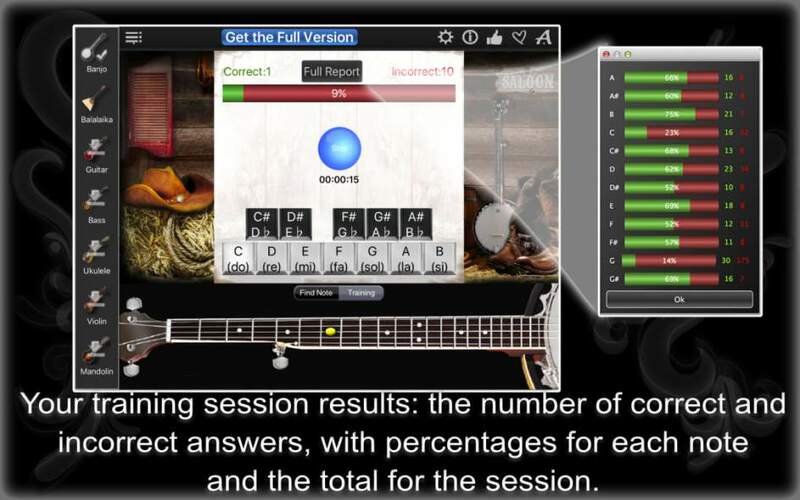 Notes Finder Lite has 2 modes: Find Note and Training. Find Note lets you explore different notes. 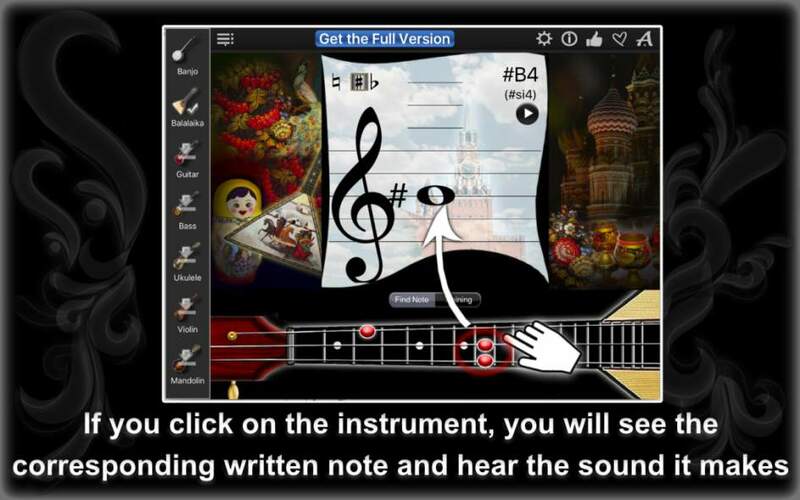 Select either banjo or balalaika, and move your finger up or down the virtual music sheet to find the note you need. At the same time, the bright dots on the fret board of your selected instrument will show you where to find this note. If there is more than one position for the note on the fret board, you will see multiple dots. Tap notes on the music sheet to hear their sound. 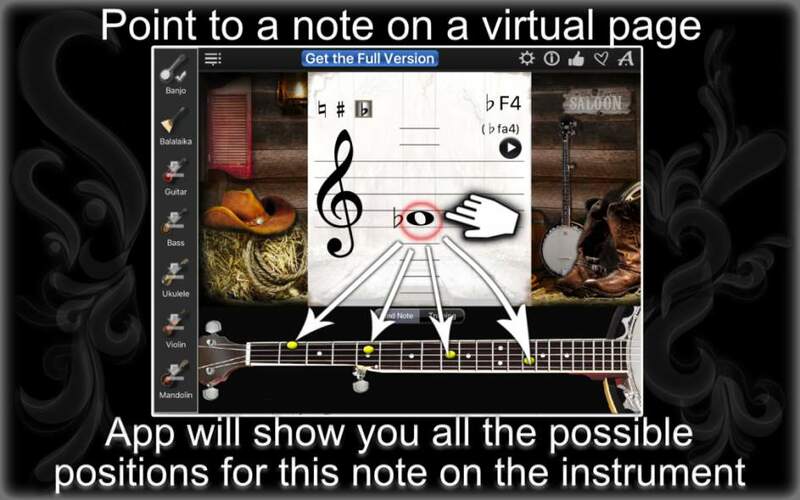 Now, do this in reverse and tap the virtual strings to find notes. The notes on the virtual music sheet will change accordingly. If you already know a few notes, you can go to Training. When you tap Start, the app will show you a dot on the virtual instrument of your choice. Guess what note it is! Put your knowledge to the test, and measure your progress every time you play! Download Notes Finder Lite now! Would you like to explore more instruments? 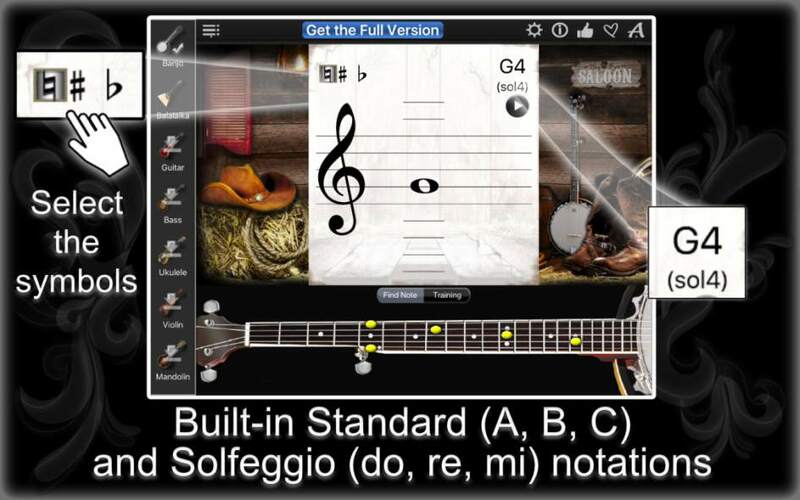 The full version of this app, Notes Finder, offers 7 instruments: guitar, bass guitar, ukulele, violin, mandolin, banjo and balalaika.